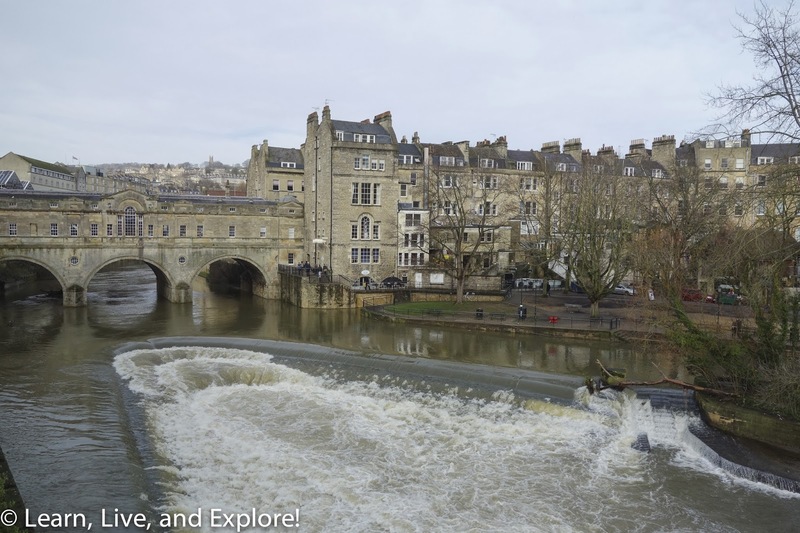 24 Hours in Jane Austen's Bath, England ~ Learn, Live, and Explore! 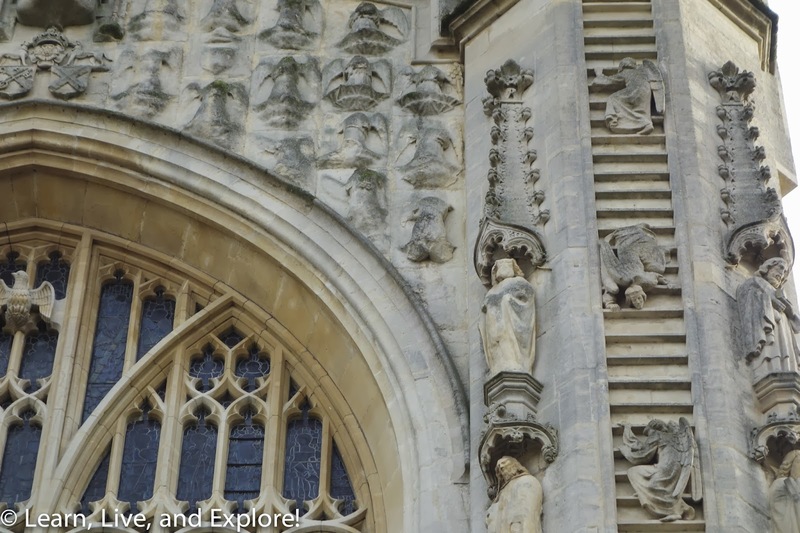 Visiting Bath is a very easy day trip from London should you be short on time. From Paddington Station, it's just an hour and a half train ride and trains run frequently. 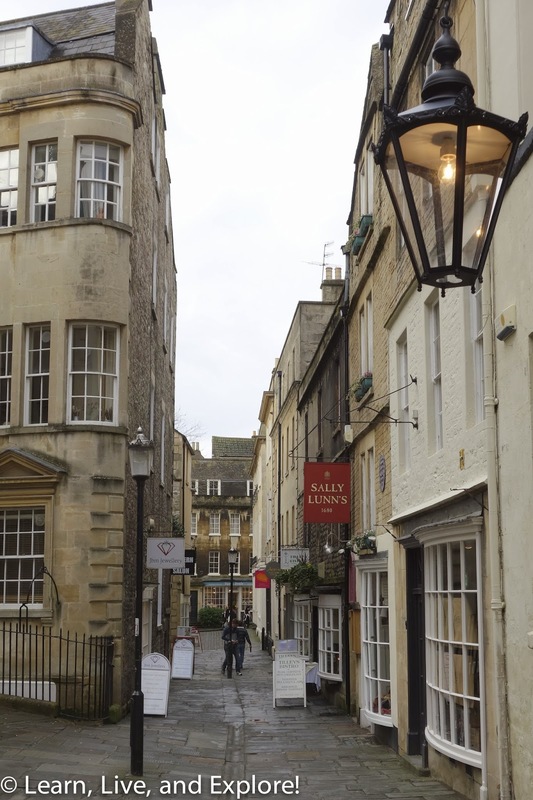 If you have some extra time, though, I would recommend staying in the Bath region for a night or two in order to thoroughly explore the area with trips to, perhaps, Glastonbury or Stonehenge. 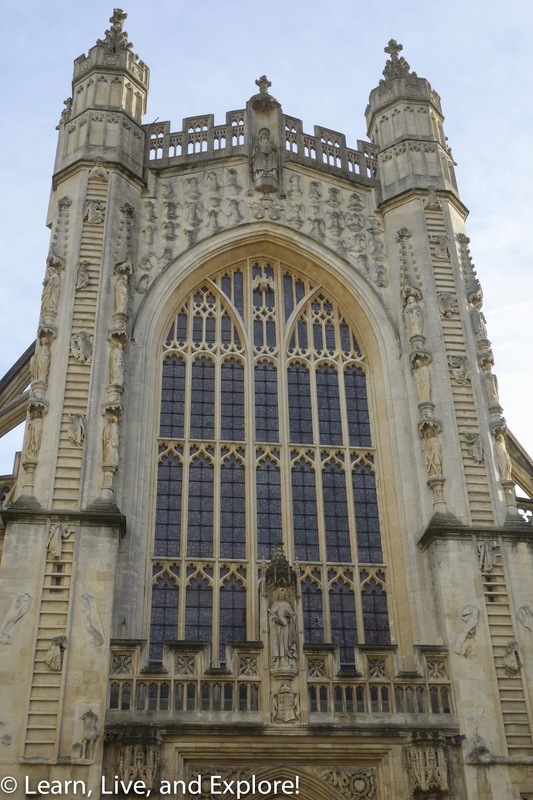 During my latest long weekend in London, I had to opt for the shorter trip, so I hopped on an early morning train and was at the Bath Spa station by 10:30am, giving me plenty of time for a leisurely walk to Bath Abbey - the starting point for the 11:00am weekend only Jane Austen Walking Tour. 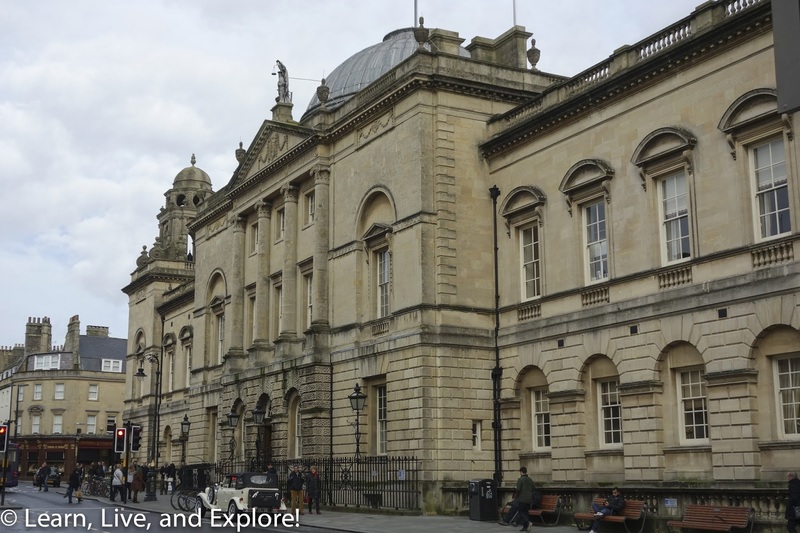 If Jane Austen is not one of your favorite authors, there are still many reasons to visit Bath. The historic Georgian architecture for one! 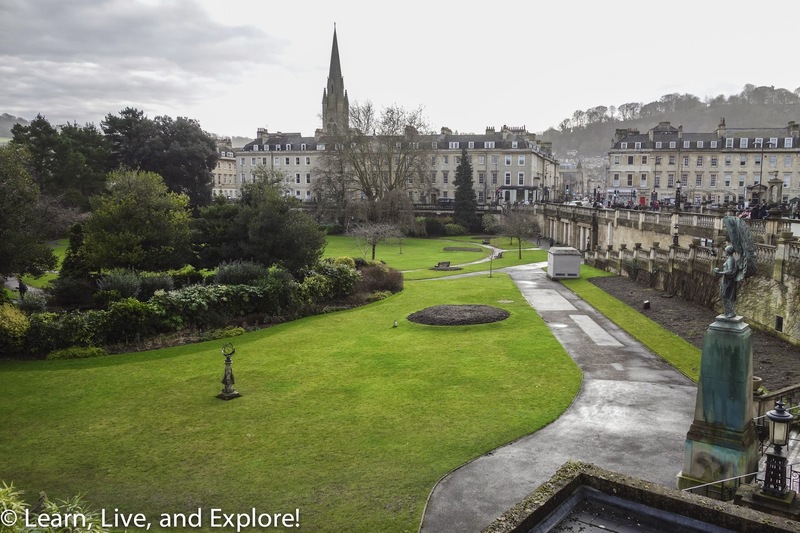 And there is a free guided walking tour that meets in front of the Pump Room by the Abbey daily at 10:30am (also 2:00pm Sunday-Friday). It was my preference, for this trip, to get exposed to the era during which Jane Austen was a resident of the town and was inspired to write some of her novels, most particularly Persuasion and Northanger Abbey. 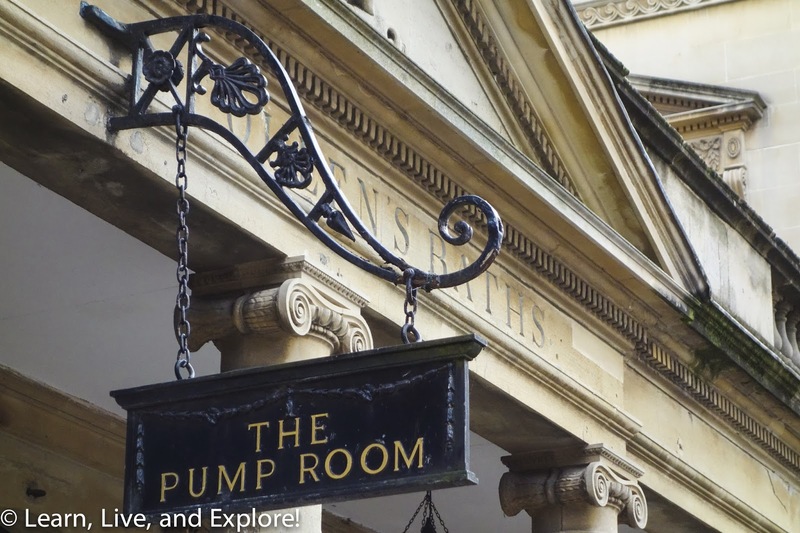 After an introduction from the guide and a brief discussion about the Abbey Courtyard - including mention of the Abbey's angel ladder with the angels symbolically going both up and down - the tour's first destination is a walk through the famous Pump Room, where regency period residents of Bath would gather for gaming and socializing. While at the Pump Room, one could also drink some water from the hot springs, with minerals that were thought to help restore your health. When you consider that the water was pumped up from the baths below, and then consider the sanitary nature of those baths, the sick people coming to use them, and the hygiene practices of the time, the logic of the healing power of the water is diminished in my opinion. The King's and Queen's Baths were just two of many bathhouses at the time that benefited from the local geothermal hot springs. The West Gate area mentioned in Austen's novels contained most of them. This area in Persuasion was described as a bad area with many prostitutes. 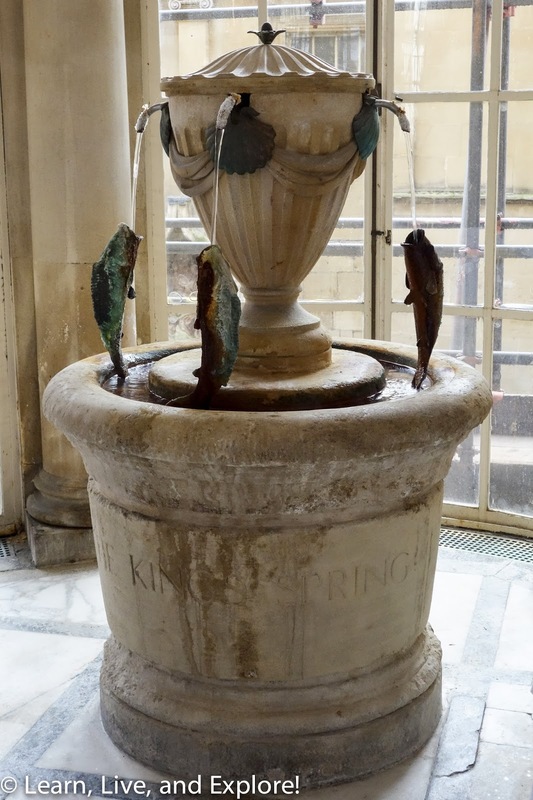 A few decades earlier in the 18th century, that would not have been the case because the aristocracy were frequently visiting Bath prior to the shift to Brighton when King George IV declared his preference for the sea. Bath was still very fashionable when Jane Austen lived there, just not to the extent where it was the main destination for the upper crust. The West Gate neighborhood also was the location for the White Heart Inn, a major travel hub for coaches mentioned in Persuasion, and Cheap Street, a busy coach thoroughfare to the main road to London. Jane moved to Bath with her parents and sister in 1801 when her dad retired and his health started to decline. 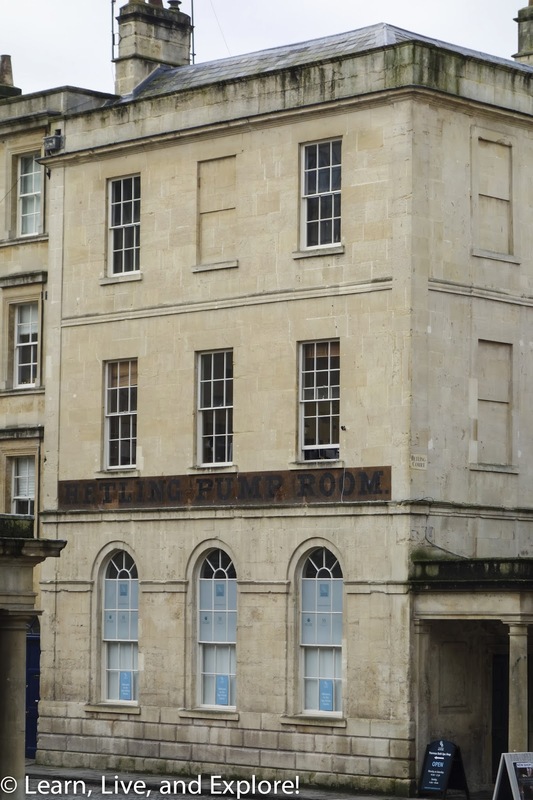 She was in her twenties at the time, and like her sister, was unmarried; therefore, Bath provided the women with exciting social opportunities while their father sought the waters at the baths. The Austens leased a property at 4 Sydney Place that was across the river yet still within convenient walking distance, over the Putney Bridge, to the shopping district and the venues for socialization, such as the Parade Gardens and Lower Assembly Rooms - both mentioned in Northanger Abbey. After her father's death in 1805, the Austen women lived in progressively smaller accommodations based on what they could afford until being forced to leave Bath six months later, then finally receiving a permanent place to stay with her brother, Edward, on his estate in Chawton in 1809. It was in this estate cottage that she wrote her most famous novels during the 8 years prior to her early death in 1817. 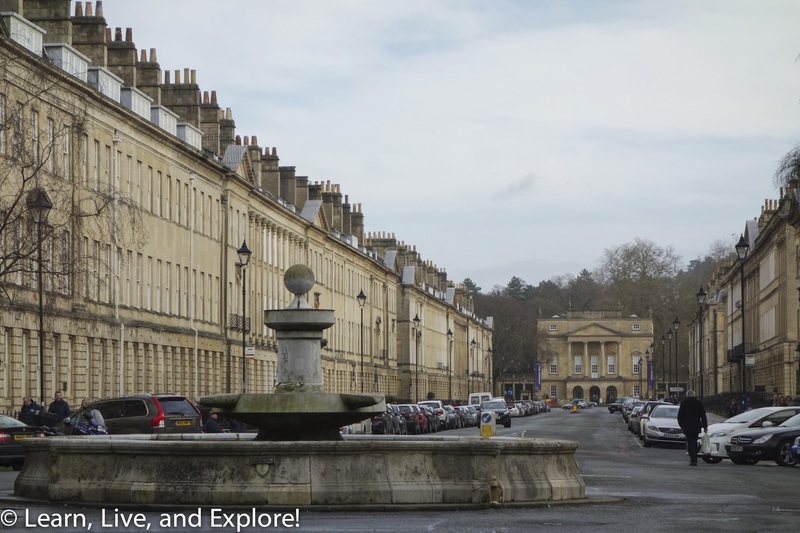 The last part of the walking tour takes you back across the bridge and up the hill to the Georgian architectural majesties of the Royal Crescent and The Circus. 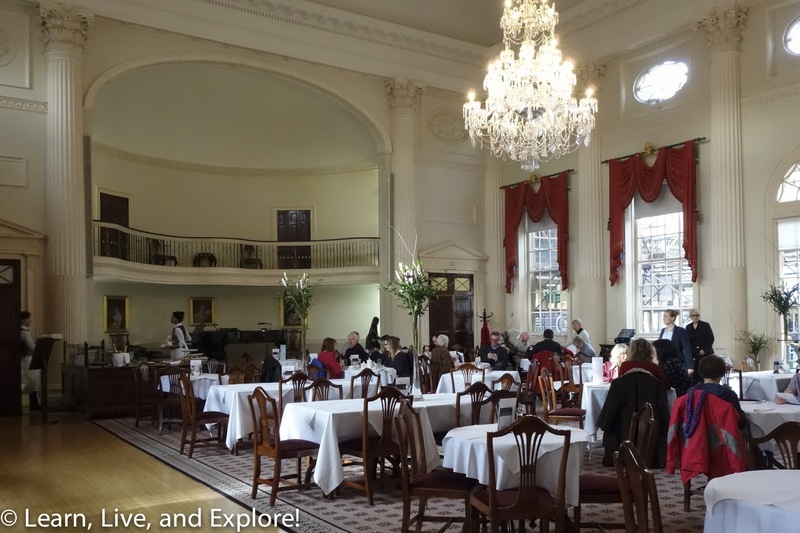 On the way to the tour's final destination, the Jane Austen Center, you will pass the Assembly Rooms where Jane attended countless balls and social gatherings. 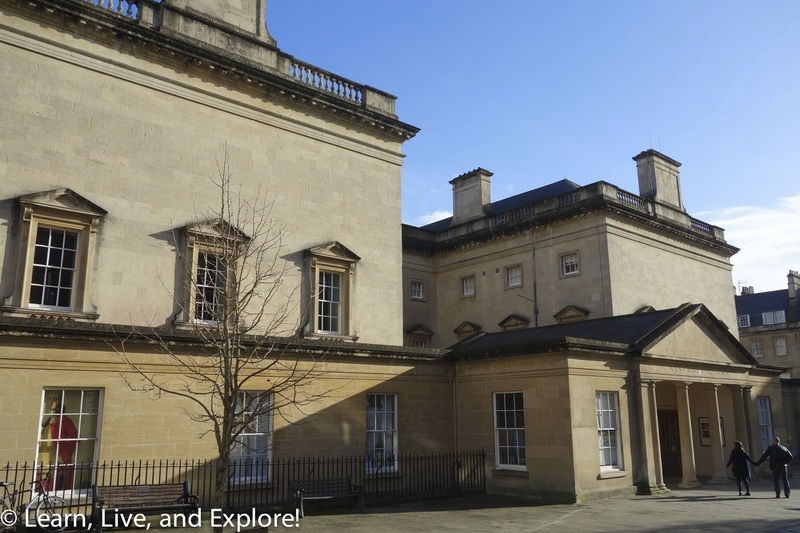 I know it may be more appealing to take the free Bath tour, but I would highly recommend paying the extra money for the Jane Austen tour if you have any interest in one of Bath's most famous residents. As a bonus, it appears that the Austen tour tends to be a smaller group, so you can be assured to get all of your questions answered. 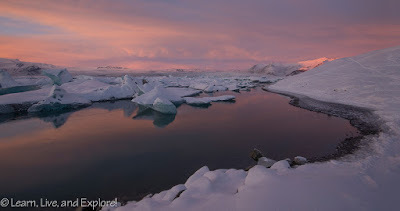 There are many more stories that our guide told, but I failed to mention here primarily because I was one of the people peppering him with questions!